Buffalo Games newest is Celebrity Throw Down. 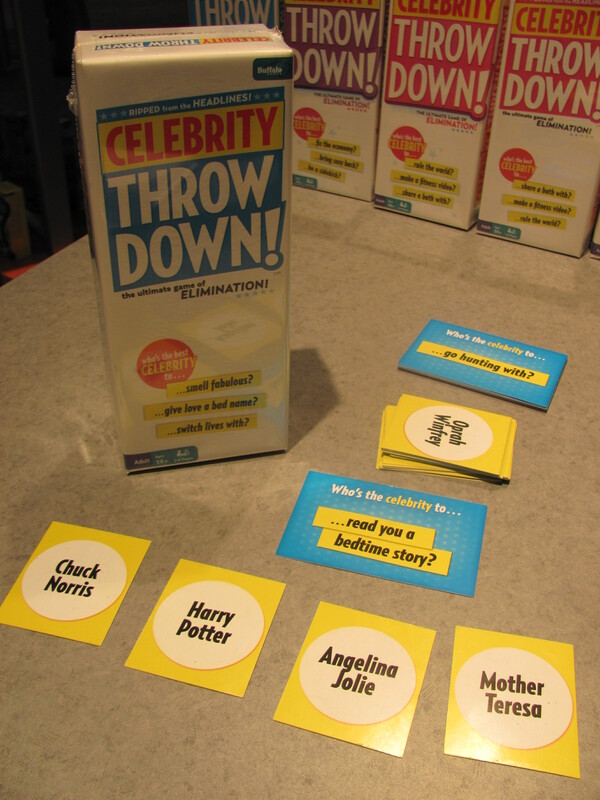 The game includes 300 celebrity cards and 162 situation cards. Players start each round with four celebrity cards. 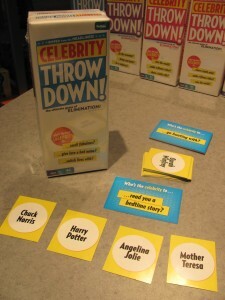 Someone draws a situation card (for example, “Who’s the best celebrity to read you a bedtime story?”) and then everyone submits one card representing the celebrity that they would choose. The player who drew the situation chooses one celebrity to eliminate. Then the player who’s card was eliminated chooses another, and so on, until only one celebrity card is left. At that point, whoever’s celebrity is left keeps the situation card and a new round begins. The winner is the first player to collect five situation cards.